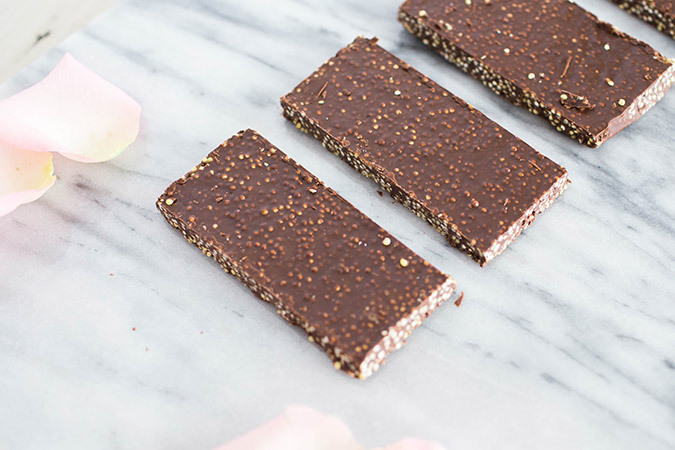 The Chocolate Bar recipe below is a great way to enjoy a delicious treat and get the health benefits of dark chocolate with a fraction of the sugar and calories! Try also adding dried cranberries or raisins for added variety. 2. Stir in the remaining ingredients until well mixed. 3. Pour chocolate bar mixture into candy bar molds (you can buy on Amazon.com). If you don’t have/want a mold, you can pour on foil or wax paper and spread out in the shape of a Hershey chocolate bar. 4. Freeze for 1 hour and break into 4 pieces and place in Ziploc bags so they’re pre-portioned and readily available. Enjoy!